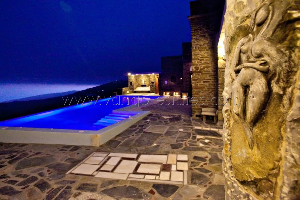 A spacious 180m2, three bedroom villa, built in accordance with the traditional stone architecture c.. 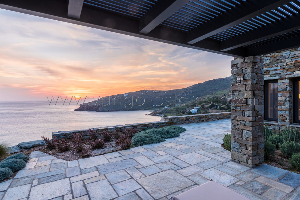 In a unique area with fantastic sea view, this traditional villa will offer you all the comfort you .. 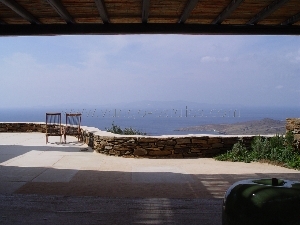 In Triandaros village with fantastic sea view, this traditional holiday rental villa will offer you .. 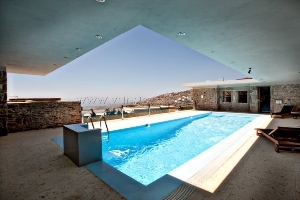 In Triandaros village with panoramic sea view to Cyclades islands, this traditional villa will offer.. 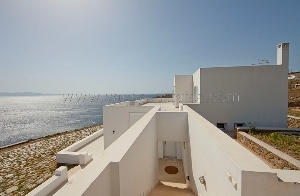 This private property with private pool is of a traditional Tinian architecture perfectly implanted .. The villa is located in a fenced plot 4, 5 acres and consists of 2 houses: The capital and largest h..
1st floor: Master Suite with cozy stone built fireplace, en-suite bathroom, large veranda with fa..